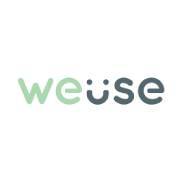 We Use is the largest tableware rental service social enterprise in Hong Kong, providing tableware rental with service packages suitable for a variety of events, with the aim of organising ZERO WASTE events. We hope to replace “single-use” with “reusables” in events. During the past year, We Use has reduced over 270,000 single-use tableware items in over 300 events. We Use provides tableware rental service for large-scale events, such as carnivals, beer festivals, Pun Choi Feast, outdoor weddings, parties etc. We develop suitable tableware rental scheme for your event with one-stop cleaning, delivery and on-site support service dedicated to make your green event smooth!